Between its founding in 1706 and the Revolutionary War, Chestertown became one of Maryland’s leading ports, second only to Annapolis. This trade made local merchants wealthy, and many of their brick mansions and townhouses still grace the waterfront. Like Annapolis, the whole of downtown Chestertown is a registered Historic District, boasting more 18th-century homes than anywhere – except, of course, Annapolis. In the lead-up to the Revolution, Chestertown held its “tea party,” which is reenacted in a festival every year at the end of May. According to the Maryland Geological Survey, Kent County has 343 miles of shoreline. It’s bounded on the north by the Sassafras River, on the south by the Chester River, on the west by the Chesapeake Bay and on the east by the historic Mason-Dixon Line. That’s 343 miles of open bay and protected river shoreline, pocketed by isolated coves and creeks that would take a lifetime to explore if you did it right. And you can do it by sailboat, powerboat, big boats like the Schooner Sultana or little boat like canoes and kayaks. You don’t even have to own your own boat; charterers and outfitters are plentiful and affordable. There are no fewer than 21 marinas to visit, some with resort-like amenities where you can stay for a weekend or a week. Or you can book a slip for the season, keep your boat there and use the marina as a base for exploration cruises up and down the Eastern Shore. Kent County is just a two-hour drive from Philadelphia, Washington, DC, Annapolis or Northern Virginia. Accessing the water in Kent County is easy. There are 30 public boat landings, more than any other county on the Bay. They range from the soft launch for a car-top kayak on the upper reaches of the Sassafras to the cement launch ramp for trailerable boats at Bogle’s Wharf on Eastern Neck Island, so there’s no limit to the adventures you can plan for you and your boat. Check the web site for permit requirements. 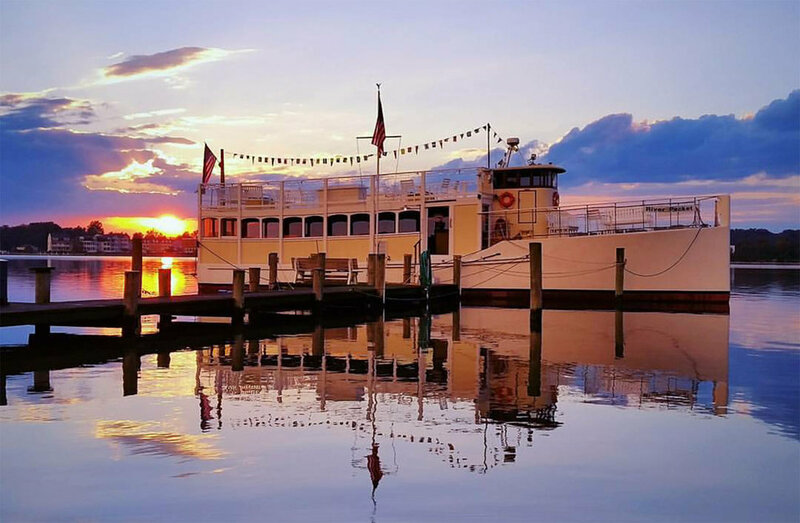 Or you can take a cruise along the scenic Chester River aboard the River Packet, a 65-foot 1920-style tour boat that sails from the foot of High Street in Chestertown. Built of cold-molded wood by Scarano Boat Builders of Albany, N.Y., in 1990, the boat has seen service on Seneca Lake in upstate New York and Charleston Harbor. The 75-passenger yacht is available for private events, too. You don’t even need to own your own boat to get out on the water in Kent County. You can charter a sailboat, with or without a Coast-Guard licensed captain, and set sail on an engaging family vacation, often for less than you’d spend sitting around in some resort or loitering on the deck of a cruise ship watching the real boats sail by. Paddlers can sign up for a guided group tour or rent a kayak from Chester Kayak Adventures in Rock Hall to explore water trails like the Captain John Smith Chester River Water Trail, the Sassafras River Water Trail, and the Eastern Neck National Wildlife Refuge Water Trail. The Sultana Foundation in Chestertown also offers guided kayak tours all season long. Fishermen can cast off with any of more than two dozen fishing charter captains who work out of Rock Hall, the waterman’s village known as the “Pearl of the Chesapeake.” Rock Hall boasts seafood restaurants that serve the freshest oysters, blue crabs, rockfish, clams and other bounty of the Bay harvested by local watermen. And on Main Street, there’s the Mainstay, a quirky storefront performing arts center that serves up the best in regional jazz, acoustic and American roots music in a charmingly intimate setting. The Sultana Education Foundation recently opened its new Education Center in Chestertown. The 9,000 square-foot building, certified to LEED Platinum environmental standards, features a science-focused wet lab, a geography classroom with the region’s largest GIS (Geographic Information Systems) projector, an extensive project shop for the maintenance of the Foundation’s schooner Sultana other hands-on projects, a 100-seat lecture hall and office space for the Foundation’s 15-person staff. 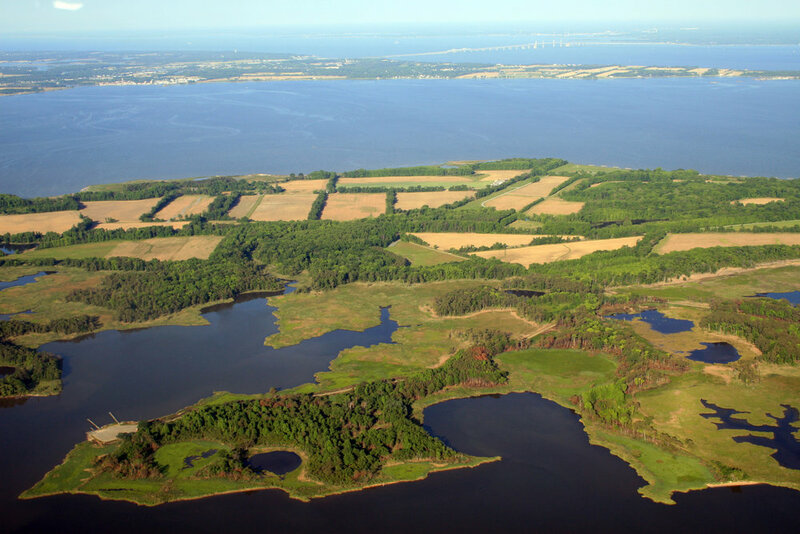 The Eastern Neck National Wildlife Refuge is a remote island at the mouth of the Chester River. Designated an Important Bird Area by the Audubon Society, the island’s 2,285 acres of brackish marshes, natural ponds, upland forests and grasslands provide habitat for more than 240 bird species, including wintering tundra swans and resident American bald eagles. You can see all this wonderful wildlife as well as expansive views of the Chester River and Chesapeake Bay along seven different hiking trails in addition to the water trail. Rain or shine, post shoot event to follow. Saturday, April 1, 2017; 7 p.m.
Friday, April 7, 2017; 5 – 8 p.m. Enjoy late shopping hours in unique shops, gallery exhibit openings, special tastings and a variety of dining options during Downtown Chestertown’s monthly progressive open house. Friday, April 7, 2017; 8 p.m.
An evening with Brandon Hudson (Hamilton) and Michelle Dowdy (Hairspray), hosted by Marti Gould Cummings. Sunday, April 9, 2017, 2 – 4 p.m.
Work side by side with the winemaker, Catrina, to explore the value of blending wines. See the process we use to blend wines, and sample some of Crow’s future wines. Friday, April 21, 2017; 7:30 p.m.
As part of its 2016-2017 Premier Artists lineup, The Concert Series presents Grupo Gato, a 9-piece Cuban Music & Dance ensemble. Saturday, April 22, 2017; 7:30 p.m.
Saturday, April 29, 2017; 10 a.m. Step into a canoe and head out on the river with SEEC to spot the many signs of spring along the Sassafras River. Bald eagles and great blue herons nest in treetops, and spring flowers highlight the shores. Canoes, paddles and life jackets will be available, but you can bring your own canoe or kayak. Artists paint the local scene for three days and make their paintings available for sale at the Wet Paint Reception and Sale on Saturday, April 29, at the RiverArts Gallery. On Sunday, there is a two-hour Quick Draw; these paintings are then shown in Fountain Park from 11:00am-12:00pm. Friday, May 5, 2017, 5 – 8 p.m.
Saturday, May 6, 2017; 8 a.m. – 5 p.m. The festival will kick off at 8 a.m. with the Dogwood Dart 5k. Admission to the festival and parking is free for this fun for all ages event. The parade starts at 10 a.m. Dogwood Plaza and the Galena Community Park will be bustling with crafts, games at the “Kids’ Corner,” the Beautiful Baby Contest, plus live music and a beer garden. Dig into crab cakes, soft-shell crabs, shrimp and clam strips, fish fry and more. Saturday, May 6, 2017; 7 p.m. Founded in 1991 to investigate the little known wealth of chamber music for oboe and guitar, the D’Amore Duo has toured internationally and domestically to enthusiastic reviews. Sunday, May 7, 2017; 12 – 3 p.m. Spend an afternoon sampling signature dishes from Chestertown & Kent County’s finest restaurants and caterers. Featured dishes range from nouvelle gourmet to regional classics such as Maryland crab soup. Saturday, May 13, 2017; 12 – 5 p.m. This outdoor music festival pairs musicians with front porches or storefronts so visitors can discover the sights of Downtown Chestertown to a local soundtrack. Free. The Tea Party Festival starts on Friday night with a street party at the foot of High Street next to the Chester River. Come for the food, live music and other entertainment. On Saturday, come downtown to commemorate the local merchants’ revolt against the British tea tax. Starting with the 5k and 10 mile Distance Run. Enjoy the colonial parade, concessions, children’s activities, crafts, music and entertainment. The highlight of the day starts at 2 p.m., when a group of reenactors will board the Schooner Sultana and throw its cargo of tea overboard. Saturday, May 27, 2017; 11 a.m. – 4 p.m. The public is invited to this open house to learn about the Rock Hall Yacht Club and its Sailing School. Enjoy special activities and events to recognize and appreciate visitors to Rock Hall. Sunday, May 28, 2017; 8 p.m.
Games, bonfire, karaoke and good times as we watch the sunset on the beach.